Many providers let you send a fax using sms services by simply adding a prefix to the fax number. 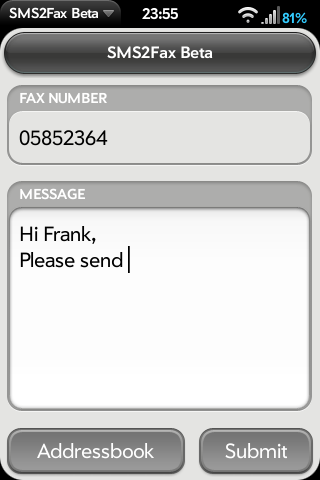 SMS2Fax Beta does use this service and just makes it a bit more convenient. You can pick a contact from your addressbook, write a text and call messaging with fax number including prefix and the text filled in already.